If you have made the leap from gaining experience in a job to starting your own company, then you understand the importance of protecting that business. Every small business needs to have a business succession plan. Just as an estate plan provides a way to protect your assets from creditors and taxes, a business succession plan provides a way to ensure that your business assets are protected. A business succession plan also provides a way for the management of your business to be transferred to whomever you choose once you retire, or upon your death. If you want to be sure that the legacy of your family-owned business will be passed down to the next generation, it is crucial that you plan for the succession of your business. The only way to do this properly is to create a comprehensive business succession plan and put that plan into effect as soon as possible. At some point, you will start thinking about retiring from managing your business. A common misconception is that retiring from your own business is the same as retiring from a position at someone else’s business. The reality is, you cannot simply turn in a letter of resignation and settle down to enjoying your golden years. With business ownership comes the need to take steps to leave your business in capable hands. Nevertheless, most businesses do not have a succession plan that will address the issues that arise when it is time to transfer management of a business to someone else. This is true even though the majority of business owners have full intentions of passing on the business to the next generation. Yet, less than half of all small business owners have an effective plan in place. A comprehensive and effective business succession plan should focus on three primary issues: ownership, continuation of management, and business taxes. Many business owners share the mistaken belief that management and ownership of a business are the same concepts, when in fact they are not. Although you have the option of transferring ownership of your business to all of your children, in reality, you may only want to leave the management of the business to only one of your children. It is very common for most families that not all of the children or grandchildren will actually be willing or capable of managing the business. In fact, not everyone will want to actively participate in the operation of the business. One of the most important components of business planning is addressing tax liability and how that liability can be minimized during the succession of the business to new management. The goal is to reduce the tax burden that will be imposed on your estate as a result of your business interest. However, with the right business planning strategies, you can use certain small businesses tax credits to help minimize any tax consequences. There are various ways to transfer a business. For example, you can conduct an outright sale, buy-sell agreements, installment sale agreement, or outright gifts. All of these strategies have their own tax consequences which need to be carefully considered. Some of the most common strategies include valuation discounts, irrevocable life insurance trusts and the election to defer payment of estate taxes when it comes to closely-held businesses. 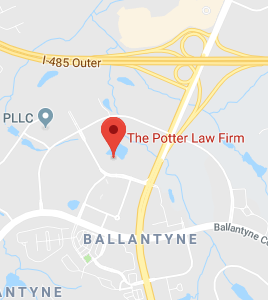 If you have questions regarding business succession planning or any other estate planning needs, please contact the experienced attorneys at the Potter Law Firm for a consultation, either online or by calling us at (704) 944-3245 (Charlotte, NC), (606) 324-5516 (Ashland, KY), or (859) 372-6655 (Florence, KY)..